April 11, 2018 — Florida Gov. Rick Scott (R) made official what everyone believed was happening for more than a year: launching a challenger offensive against three-term Sen. Bill Nelson (D). Gov. Scott entered elective politics in the 2010 election and said he never intended to assimilate himself into the way state politics has traditionally been run and claims to have kept that promise. He said in his announcement statement Monday that his intention is to have the same attitude toward going to Washington. Worth in the neighborhood of $140 million and willing to spend a large amount of his personal wealth on his political campaigns, Gov. Scott had the luxury of waiting until relatively late in the cycle to launch his expensive statewide campaign. While the governor consistently said he would make his political plans known once the regular state legislative session ended, a loosely connected Super PAC was brandishing his accomplishments as Florida’s chief executive over the past year, and rallying support for Scott’s state issue agenda. So, this future Republican Senate nominee was very much in the middle of the Florida political scene even though he was not an announced candidate. To no one’s surprise, the Florida Senate race figures to be a razor-thin contest. Since the famous 2000 presidential campaign when the national result depended upon the final Sunshine State vote (George W. Bush prevailed by an official 537 vote margin from more than 5.8 million cast ballots), and through four more one-point statewide campaigns in the ensuing presidential, governor and Senate races, Florida voting has become synonymous with very tight elections. Two of those three one-point victory races went to Gov. Scott. He won in 2010, defeating then-state Chief Financial Officer Alex Sink by a 1.2 percent margin, and was re-elected with one-point spread over former Gov. Charlie Crist, the Republican-turned-Independent-turned-Democrat who now serves in the US House of Representatives. Except for a four-year break, Sen. Nelson has been in elective office consistently since winning his first election in 1972. He served three terms in the Florida House of Representatives, 12 years in the US House, and then ran unsuccessfully for governor in 1990, losing in the Democratic primary to US Sen. Lawton Chiles who would win the position later that year. Sen. Nelson returned four years later with a victory in the treasurer, insurance commissioner, and fire marshal statewide office and was twice elected to that post. He then ran for the Senate in 2000, defeating then-US Rep. Bill McCollum (R-Orlando), who would later be elected state attorney general. Sen. Nelson topped US Rep. Katherine Harris (R-Sarasota) for his first re-election in 2006, before beating then-US Rep. Connie Mack IV (R-Ft. Myers) for his third US Senate victory on the same day that President Obama was re-elected. Comments coming from Democratic activists concede that Gov. Scott was successful in winning two surprise victories for governor, but say that he has never faced as formidable an opponent as Sen. Nelson. This assessment is open to question. 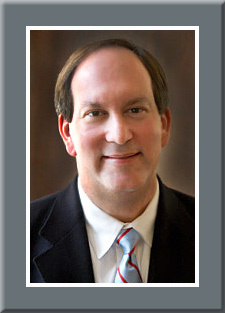 When he first won in 2010, Scott, who would defeat McCollum for the Republican nomination, was the clear underdog. At the time, Sink was promoted as the best possible candidate the Democrats could field, so it was never believed that she was any second-tier contender. 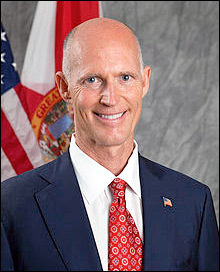 Though Crist was a flawed candidate from his debacle in the 2010 US Senate race when he left the Republican Party and tried to run to Marco Rubio’s left as an Independent before switching to the Democrats in order to run for governor four years later, he still had universal name identification and was able to raise and spend almost $50 million on his campaign. Thus, the argument that Scott didn’t face anyone as tough as Nelson seems overblown. Though we don’t likely need proof that the Nelson-Scott race will be close at the political finish line, we only have to examine the public polling for confirmation. Since August of 2017, 17 polls have been released of the proposed Senate race from 10 different pollsters. The results find Sen. Nelson leading in nine of the surveys, while Gov. Scott has the advantage in seven, and one was a flat tie. In 11 of those polls, the margin between the two candidates was four percentage points or less. Oct. 24, 2016 — With the presidential race appearing just about wrapped up, the Senate races are taking the center stage for competitiveness. Some of the races are changing. Arizona – Sen. John McCain (R) now looks to be a strong bet for re-election, as he leads Rep. Ann Kirkpatrick (D-Flagstaff) in all polling. Additionally, the Democratic Senatorial Campaign Committee (DSCC) has pulled its media money, sending it to other states. Illinois – Sen. Mark Kirk (R) appears in no position to overcome the strong Democratic trends that he faces. Therefore, Rep. Tammy Duckworth’s (D-Hoffman Estates) advantage should hold through Election Day, and she will become the new senator when the Congress convenes in January. Iowa – Veteran Sen. Chuck Grassley (R) continues to cement his lead over Lt. Gov. Patty Judge (D). Neither party is emphasizing the race and the only October poll recorded (Des Moines Register/Selzer & Company; Oct. 3-6; 642 likely Iowa voters) again projects Sen. Grassley’s lead as approaching 20 points (53-36 percent). Oct. 13, 2016 — Democrats are attempting to get atop of what they perceive as a growing wave in response to Donald Trump’s potential collapse, but they are missing several components necessary to creating such an outcome. During the past two days Democratic leaders and strategists have begun to predict a landslide Hillary Clinton win, a majority in the US Senate, and now an impending wave large enough to carry their House candidates to success. In the Senate, as we know, Democrats need to hold all 10 of their in-cycle seats, and then convert at least four Republican states to re-capture the majority. Illinois, Wisconsin, and Indiana all look like impending Democratic victories. Nevada Rep. Joe Heck (R-NV-3), in the one state Democrats are risking, continues to hold a small lead but his advantage over former Attorney General Catherine Cortez Masto (D) is tenuous. New Hampshire Sen. Kelly Ayotte (R) and Pennsylvania Sen. Pat Toomey (R) are both highly vulnerable and could easily lose, as could North Carolina Sen. Richard Burr (R). Missouri Sen. Roy Blunt (R) sees better trends developing in his state at the presidential level, but Democrats are using a strong performance in the open governor’s race as a potential springboard to unseating the one-term senator and former US House Majority Whip. Ohio Sen. Rob Portman (R), Arizona Sen. John McCain (R), and Florida Sen. Marco Rubio (R) look to be stemming the adverse tide. But, all of the aforementioned races could easily change one way or the other in the final four weeks.